When properly framed textiles are the perfect marriage of a beautiful, soft textile and a rigid display. Sophisticated, warm, vibrant. Offer your customers the best, most versatile solution for fabric signage on the market. SEG stands for Silicone Edge Graphics, which are textiles that have a strip of silicone sewn into the edges of the graphic. After being sewn in, the silicone edging is inserted into an extruded aluminum frame creating a smooth, seamless fabric graphic. Global Imaging is the leading distributor of grand format textile printers and ancillary products in the country. We know this market inside and out and sell everything you need for creating gorgeous SEG products; from printing and sewing to framing and displaying. Most SEG frames start as lightboxes, frontlit displays or specialty structures with a small percentage being something completely different. Stick with these bestsellers or break the mold with highly customizable configurations. We can help you achieve whatever you want with our REXframe extrusions, internal or external lighting options, parts and accessories. Crisp LED lighting, seamless edge to edge imagery and soft, luxurious fabric are making lightboxes the display of choice for high end retailers worldwide. 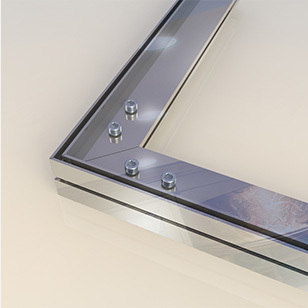 Using an existing light source or vibrant external light solutions, these framed pieces are used everywhere from exhibit halls to retailer windows. Creating a special shape, structure or object is no longer limited to hard surfaces or dull imagery. 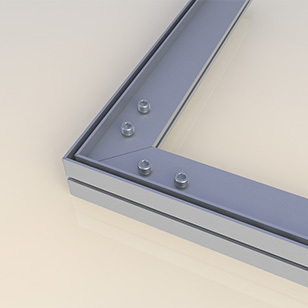 REXframe systems are lightweight, high quality, versatile products that include 25 types of aluminum extrusions. They are easily assembled or disassembled using a connector system, fabric change-outs can be done by anyone and they are lightweight to ship and store. 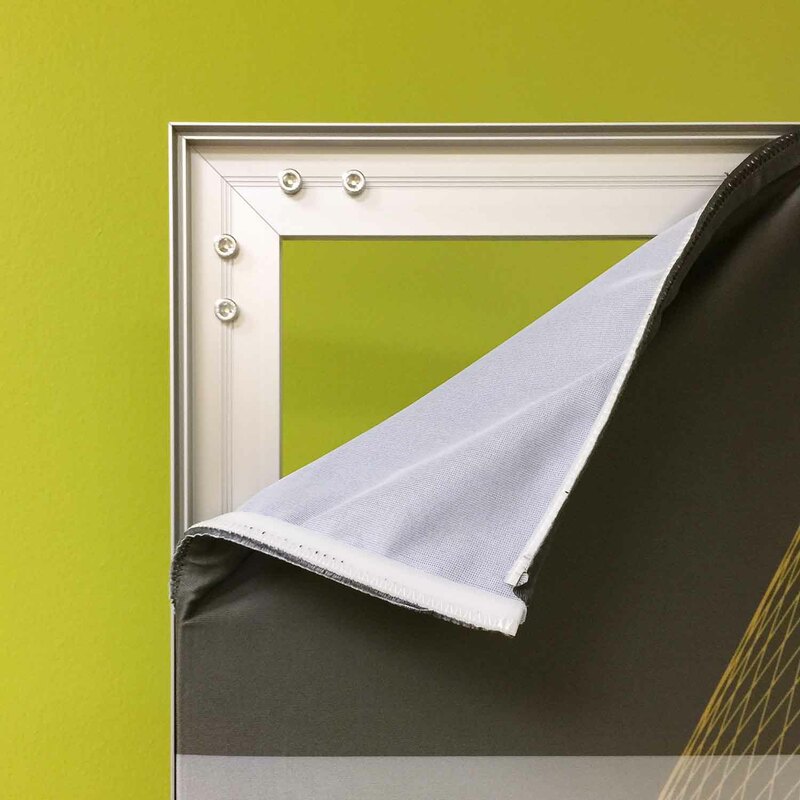 Customize your fabric signage with various frame widths including ADA compliant, ultra thin profiles or choose a unique finish like chrome, black or custom powder coated colors. 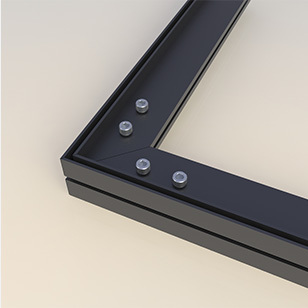 Take your fabric frames to the next level with any number of elements such as custom angles, brackets, shelves, monitor mounts and door frames. 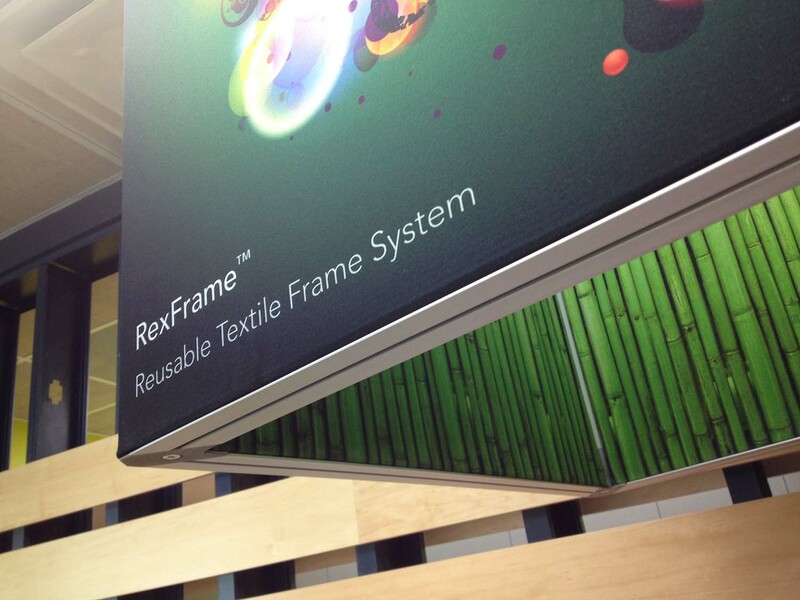 With REXframe’s accessories and tools you can create displays in any shape imaginable. 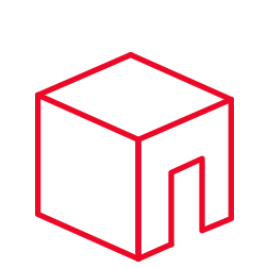 If you have a unique idea that can’t be accomplished out of the catalog, we assist with the creation of a CAD drawing then submit for prototyping. The prototype is quickly created with a 3D printer and upon approval the new accessory is submitted for final manufacturing. 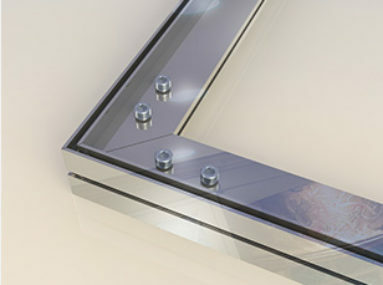 SEG profiles are nothing without the right parts. 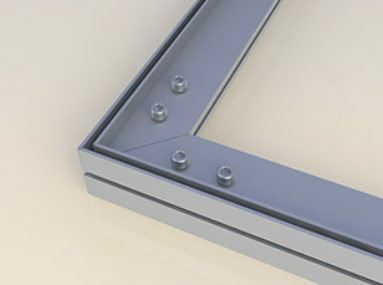 For example, one style of extrusion paired with an elbow joiner can be used to create a flat panel fabric display. Pair it with a cube knuckle, on the other hand, and suddenly you’ve created a three dimensional textile structure. See how RX-108 teams up with other parts and accessories to build a backlit fabric cube. The benefits of using fabric over conventional signage materials. Framed textiles are impactful and versatile. SEG graphics are completely customizable to any size, shape and lighting need, be it curved, multiple-sided, backlit, frontlit, wall mounted, suspended or freestanding. Add spot lighting, white LED backlighting or programmable RGB lighting and your options are nearly endless. 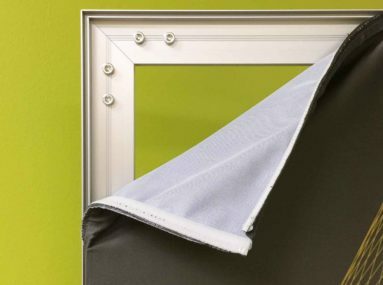 Fabric displays are reusable and easy to assemble. Installing or changing out graphics is simple enough that it can be done by anyone. 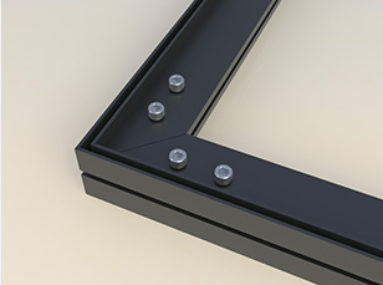 For temporary displays, assembly and disassembly are quick and easy while shipping these lightweight frames is far less expensive than traditional materials. 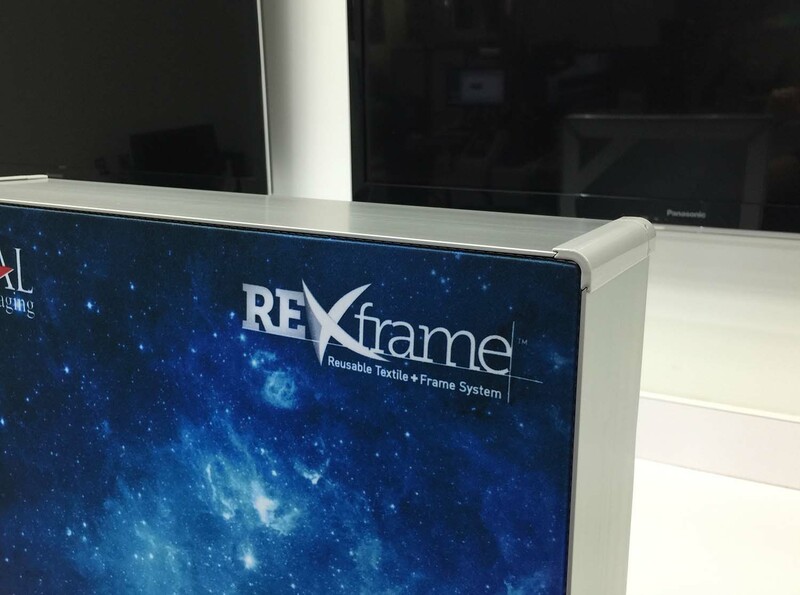 Not only are frabric displays easy to store and inexpensive to ship, sign shops can utilize REXframe to create annuity income. For example, once a frame is sold and installed in a retail outlet, there is ongoing income for every seasonal and holiday changeout at each location. The new graphics can even be installed by a store employee rather than sending your installers. Fabric is the fastest growing segment of the large format graphics industry. It has taken over exhibits and retail POP with its light weight, versatility and upscale appearance. There is still good margin and a lot of creativity in what can be accomplished. Fabric is rich and luxurious, the colors and density are stunning and backlit fabric has unmatched image quality and color.